With Johnson it's not a case of being economical with the truth, but it is a case of throwing profligate quantities of verbiage at the truth and hoping to overcome it. Dear Prudence indeed! Facts - oo, yes please! I got excited by the 'facts' proffered by post 126, until it dawned on me that they were just more subjective opinions. That's not to say that I don't agree with opinion #3, but a fact it isn't. I too like facts. The trouble is that facts have been more like 'facts' on this, and I'm not even talking about 'intelligence' (unless it's the minimal quantity shown by the cabinet operatives). First there was the site of the attack: a park bench; a pizza restaurant; a BMW; and now a door knob. Then the curious case of the 'first attenders', i.e. the passing female doctor who 'treated' Mr Skripal for 45 minutes, presumably while the paramedics had a fag and twiddled their thumbs; or DS Bailey who was apparently just passing the bench and offered assistance, until it turned out that that was highly unlikely as he's CID, so his location was conveniently moved to Mr Skripal's house. Then there was Salisbury hospital's Consultant in Emergency Medicine's letter to the Times in which he felt the need to put right the 'facts' circulating about the number of people treated at the hospital (some of which 'facts' originated with counter-terrorism officers). Then there was the judge who granted the OPCW permission to take blood samples from the Skripals, and who claimed that no family members could be contacted, while all the time they were speaking freely to the media. Then there was the 'incredible' recovery of Ms Skripal after being poisoned with, we were told, a military-grade nerve agent more deadly than VX. 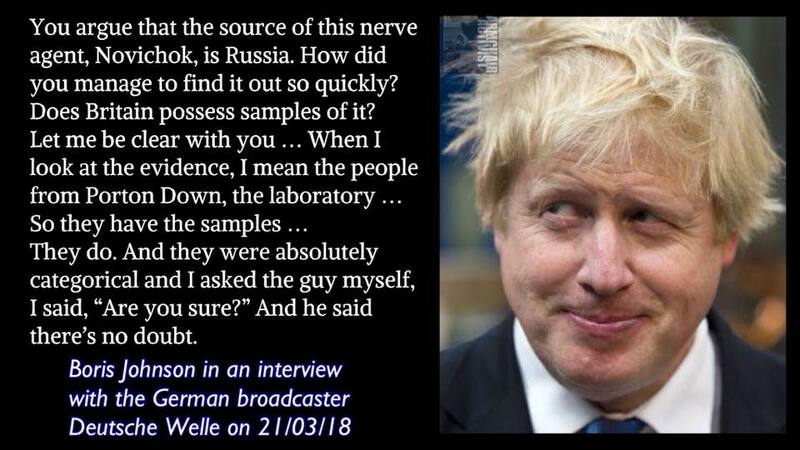 Then there's the fact that the words 'Boris Johnson' and 'facts' don't sit comfortably together in the same sentence. I could go on. Now, while some of this mess may be down to media speculation (and to the media's increasingly desperate and transparent attempts to follow the correct 'line') and some of it to HMG's inept and equally transparent attempts at news management, much is simply inexplicable and has the look of a story with too many narrators juggling too many plot lines. FACT just in: Dr David Kelly was assassinated on Harrowdown Hill by the Russians/Soviets/Reds/Commies/Bolsheviks/Them...take your pick. But where would the samples come from, Porton Down? The thinking man's Frank Spencer says it as it is. In our world where “war is peace, freedom is slavery, ignorance is strength" what is a mere act of passing one’s subjective (and politicised) opinion for a fact? A child’s play! Our esteemed government does just that day in day out after all. In other news, has anyone watched the UNSC emergency meeting earlier? The Russians’ statement was brutal (so brutal in fact that I had to call my mum “just in case” I won’t get another chance), and I have to say the British representative (who uncannily looked like an out of its depth hippo with inappropriately over-the-top make up & black hair die...for her age) sounded predictably, dare I say it, disingenuous. Now all I care about is what happened to Skripal’s second cat?? Heartbroken by the news the two guinea pigs and the other cat met their tragic deaths at the hands of MI5. But not surprised. Some better news - going by what the experts said about the power of the nerve agent the hospital has worked two miracles. Obviously it can't be the Russians as any Russian poison would have killed them - so there. 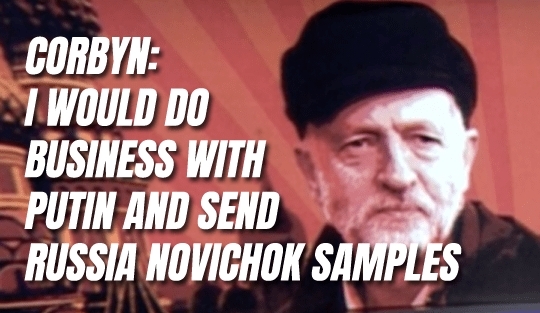 It's marvellous what a quickly administered Novichok antidote can do. Oh, silly me, but there isn't one, according to PD CE Gary Aitkenhead. FACT: I can confirm that Skripal's cat is simultaneously alive and dead. I cannot, vouch for the guinea pigs, however. So the only confirmed dead in this episode are a cat and two guinea pigs? Surreal. And we're supposed to be affronted because Russian UN Ambassador Nebenzia suggested HMG are in fantasyland by quoting Lewis Carroll at them? Truly surreal. Don't get me wrong, I don't touch meat and I'll catch a wasp rather than swat it, but I think it's a bit much to tempt WW3 because police negligence killed a couple of domestic rodents and a grimalkin (Schrödinger's or otherwise). Oh the hard times of old England, in old England very hard times. I can't agree more! Don't you find sometimes that we are actually living in a Twilight episode, or worse, a chapter in a Kafka novel ?? #155 I do love a reference to 18th century English folk song. Steeleye Span did a wonderfully foot-tapping version, as I recall. On a more spiritual level, I am pleased to see the manifestation of good old British faith in our Lord being rewarded. Our British God has answered our orisons as the news (albeit Sky News - surely not a false prophet) has stated: Poisoned spy Sergei Skripal is no longer in a critical condition and his daughter says her strength is "growing daily". Just a few weeks ago they were seemingly on the brink of death - so how did they survive? And did those feet in ancient times, walk upon England's pastures green? Well, probably not, but that doesn't mean that we, the Brits, haven't negotiated a binding special relationship with my heavenly boss. The good Lord loves us before all others - he also loves David Davis's Brexit strategy and Russophobia and Philip Hammond's Excel spreadsheets. I think such coded exchanges might help us to understand what exactly's going on. I understand that a source (believed to be a high-ranking Tory who shares a first name with the subject of a very long opera by Mussorgsky, is known to be close to the Landlady (aka the Gambler) and is codenamed 'The Idiot' or, when on official duties, 'Bobok') confirmed that HMG had received some notes from underground which have helped the poor folk at MI5 and counter-terrorism to narrow the search and put a crime to the punishment. 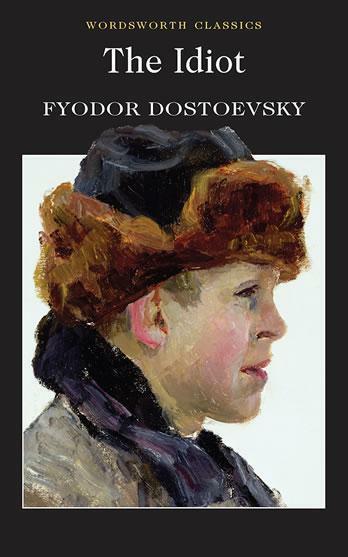 The notes end 'I did it' and are signed 'Raskolnikov.' This is believed to be a false trail and investigators have now re-focussed their attention on secondary subjects the brothers Karamazov. In order to make the nasty story fit for public consumption everyone, including the devils (sorry, BBC journalists), has retreated to the safe house of the dead for a few white nights. Either that's where we're at now, or this is all the dream of a ridiculous man. Devil=Demons surely. Very urbane and well read; however, this is Mr Johnson we are talking about. Roger Hargreaves's Mister Men and Little Misses series might be more appropriate.